Chamonix is the capital of skiing, and it does not cater only to the daredevil, extreme skier, but also to families and beginners. Its different areas have something for everyone. Chamonix is a long valley within tall mountains, with a series of ski resorts on both sides of this valley. Ready for the adventure – Vallée Blanche, Chamonix- what is new for Chamonix’s ski season 2018-19 – Never ski the Vallée Blanche without a ski guide. Photo: Salome Abrial. OT Chamonix. With 13,000 inhabitants Chamonix is a lively town that caters to tourists in all seasons. 400 shops opened all days, all year round and 130 restaurants can entertain the most discerning client, and those who don’t want to spend their bonuses. There are plenty of options for everyone. Located in the border of France with Italy and just very near Switzerland, one can stay in Chamonix and ski the three countries with the Mont Blanc Unlimited pass. If you want to only ski in the Chamonix Valley Ski Areas, then purchase the Chamonix Le Pass. The Mont Blanc Unlimited Pass allows you to ski the following ski areas: Chamonix Valley Ski Areas, Les Houches, Megève – Evasion Mont-Blanc (if you purchase the MBU 2 days mini), plus visits to the Aiguille du Midi, Montenvers Mer de Glace, Tramway du Mont Blanc, and as a bonus – Courmayeur (with the MPU 2 Days Mini), Verbier 4 Vallées (50% discount on a 1 day pass in Verbier for holders of the MBU 6 days Mini); plus entrance to the Swimming pool – ice rink and Alpin Museum; 1 Luge Alpine Coaster Descent in one day (with the MBU 3 days mini) and the SkiWay Monte Bianco. Les Grands Montets ski area. Copyright McPix Photography. What’s new in Chamonix for the 2018/19-ski season. Tim Hughes photo. Chamonix. What is new for the 2018/19-ski season. Les Houches is a family resort, which is also the balcony of the valley with incredible views – pistes here go from 950 m to 1900 m.
Brévent – Flégère is a south facing ski area with fantastic panoramic views – from 1030 m to 2525 m.
Lognan- Grans Montets is a famous spot for free-riders that is located from 1235 m to 3300 m.
Le Vallée Blanche has 2800 m of vertical descent – one of the world finest off-piste runs, starting at the Aiguille du Midi- from 1035 m to 3842 m, and finishing at Montenvers. The trail is on top of the Mer de Glace. This should be one of your bucket lists runs, but, always, ALWAYS, go with a mountain guide – there are some crevasses, and even the way down is not that difficult, you can never be sure of your safety on your own. Let the experts guide you. Chamonix counts with 12 ski schools and 13 mountain guide offices to cater its visitors that speak all languages. This is a very international spot, not only for being in the frontier of three countries, but also because the resort has been famous for many years, and people from all over the world flock in masses to see its’ charm. Les Planards – tapis roulant. Copyright ESF Chamonix. Chamonix. What is new for the 2018/19-ski season. If you want to get your ski lessons sorted before arriving into Chamonix, you can use CheckYeti.com – simple check online or download their app and in the search field in the top, put Chamonix plus the dates you want to go and you’ll have lots of choices of ski lessons (private, groups) and for different winter sports and abilities. And you then have something less to worry about when you arrive in the resort, as it is sorted! Chamonix’s Check Yeti website link. Look no further than CheckYeti’s App to book your ski lessons to Chamonix. So what is new for the 2018-19-ski season in Chamonix? There is lots of news in the Chamonix Valley for this upcoming season. From La Folie Douce, a new ski in/ski out hotel, located in an historical palace, in Chamonix Center. It is what it used to be the Club Med, near the Savoy Ski Lifts. With 248 rooms, 141 belongs to the 4* premium building and 107 to the 3* annex, 3 restaurants, 2 bars, a swimming pool, spa, kids club, working area, own ski shop and ski school, this hotel is opening on December 22nd, 2018. As covered by us before, the QC Terme opened in the French side of the border in Chamonix, copying the success to all the QC Terme in Italy, and its near its neighbour at Pre de St Didier, in the Italian side near Courmayeur in the Aosta Valley. With 4000 sq meters, offering beautiful panoramic views, an overflowing swimming pool, a wellness pathway, olfactory space, sensory tubs, relaxation rooms, hydro jets, salt room, waterfalls and whirlpools, it is something you should look forward to do after skiing, or maybe just stay there all day! Tim Hughes photo. Chamonix. Freeriding. What is new for the 2018/19-ski season. In Lognan in the Grands Montets, even so there was a fire at the terminal station this past month; the resort will open this coming season. A new beginner’s area has been created and Compagnie du Mont Blanc has invested 10 million in a high-speed 6- seater chairlift, that will increase upload capacity. This 6-seater will be replacing two slower older lifts. Musilac, the popular Rock and Ride event at the end of the season will come back to Chamonix – and will be held from April 26-28 in 2019. The 2018 edition gathered 40,000 people during the three days. Genepy is a 3* apart hotel in the centre of town in Chamonix with 10 apartments, of which, 3 are new, duplexes, with 2, 3 or 4 rooms offering a Mont Blanc view. It will also offer a café-restaurant with healthy products. Another great hotel with a friendly atmosphere is the Hotel Gustavia (3*). The hotel offers 50 rooms, of which, 24 where renovated this summer. It is also home of a lively bar/restaurant called “Chambre 9”, which offers one of the best après-ski in town. Flegere- a lovely groomed run early in the morning. Photo by Salome Abrial. Tourism Office Chamonix. What is new in Chamonix for the 2018/19-ski season. The 4* Refuge des Aiglons has been totally renovated. It is located closed to the bus station and the Aiguille du Midi in Chamonix town. It offers 107 rooms, outdoor heated pool, a deep nature spa, restaurant and bar, ski shop on site and a meeting room. The Alpina is another 4* hotel that is totally renovated in the heart of Chamonix. It features 138 rooms, a spa of 350 square meters, a restaurant for 450 seats covers on the top roof, ski shop on site and big meeting rooms. The MGM Chalet D’Elena, is a new 4* residence in Les Houches, offering 50 units, an indoor swimming pool, spa/fitness, ski lockers with heated boot racks and is opening on December 2018. Les Chalets Grands-Montets are 3 new 5* chalets in the Argentiere village. They offer a chalet option, an hôtellerie option and a la carte option. The chalets offer different decoration styles, from a traditional farmhouse to a designed décor. Flegere in Chamonix- Photo by Tim Hughes. Chamonix Tourism Office. What is new in Chamonix for the 2018/19-ski season. And after a long day of skiing, there is nothing better than to taste a local beer produced at the “Big Mountain” Brewery and then go out for dinner to one of the different restaurants in Chamonix. What is not to like of that? The-Ski-Guru Travel can help you organise your bespoke trip – just email us to info@the-ski-guru.com or send as a message here. You can start thinking about your trip, by reading the articles on the Planning your Ski Trip tab. Or you may choose to read the Ski Resort News, Ski Passes News, and the Must-Read Guides to Courmayeur, Val di Fiemme and Crans-Montana. Coming soon will be the guides to Lech, St Anton and Zermatt. Or see an amazing heli flight over the Mont Blanc Massif. 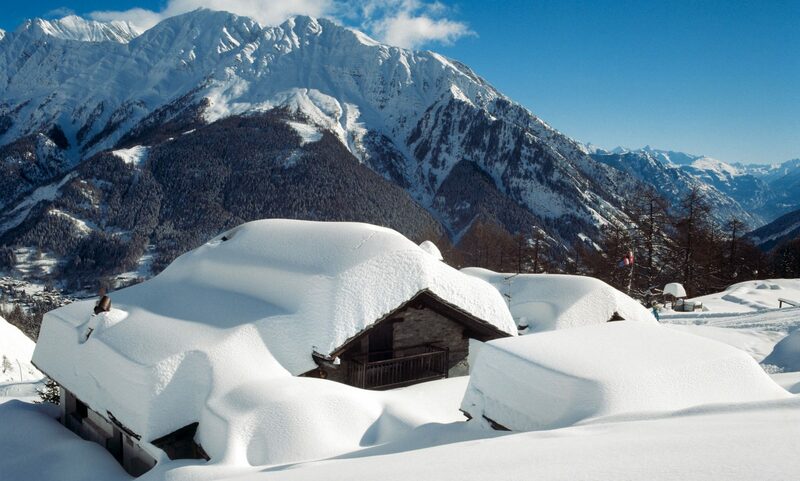 Also see tips on how not to be scammed when booking a ski chalet. You can also read what’s new at Les Trois Vallées and the last article on what is new at the Tirol ski areas, in 3 Zinnen Dolomites ,and in the Skicircus Saalbach Hinterglemm Leogang Fieberbrunn. Featured Image: Le Brevent in Chamonix – ski with the views to the Mont Blanc. OT Vallée de Chamonix – Photo by Salome Abrial. What’s new in Chamonix for the 2018-19-ski season. Previous PostPrevious CheckYeti enters a strategic partnership with Skiset.